Ramakrishna Ashrama Argentina: '¡Maravilla fulgura, cuánta dulzura! Samghajanani, ¡MA SARADA! '¡Maravilla fulgura, cuánta dulzura! Samghajanani, ¡MA SARADA! - ENGLISH: Mother Sarada, the Mother of the Order shines amazingly with so much sweetness! 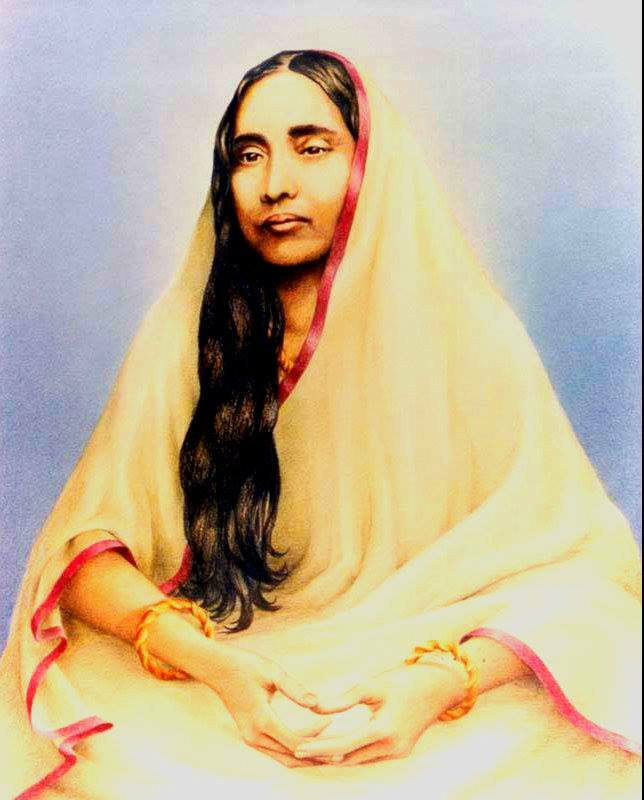 Mother Sarada, the consort of Ramakrishna is all pervading and all penetrating. Mother Sarada, the divine goddess is eternally pure and is condensed compassion.Mother Sarada! We all are here. Give us refuge in your lap.